Thank you for your interest in the Union County Heritage Festival. 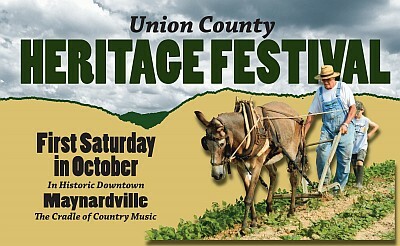 The Heritage Festival is an annual event on the first Saturday in October in Historic Maynardville, TN in Union County, “The Cradle of Country Music”. Please use this handy contact form to drop us a line and a team member will respond to you as soon as possible.